Use of the term ‘digital transformation’ has become so widespread, it is has lost meaning. To some it describes technology and data, whilst to others it means wholesale behavioural change across the business. Those that understand what the next wave of transformation means for their organisation, will be better equipped to lead their people through change. 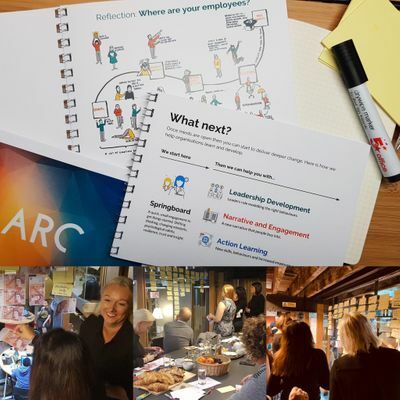 Arc's new series of learning sessions will empower your people to deliver your customer promise, because the next wave of transformation is being led by them, not the technology. Most organisations are already heavily invested in the digital services and infrastructure that enable them to meet current and future customer needs. The heavy lifting and trauma of seismic technological change have already begun, and there’s no turning back. However, for those tasked with leading change, the reality is falling short of the promise. Although organisations now have the tools they need, in many cases their people feel left behind. Where new, progressive cultures exist they often reside in remote corners of the organisation, leaving other parts untouched by transformation. In an age of constant change, the ability to adapt is essential for your organisation to survive and thrive. Establishing a culture of learning empowers your people to continuously develop themselves and also the business around them. E-mail dGFsayB8IHRoZWFyYyAhIGdyb3Vw to be kept informed, visit our website at www.thearc.group, or keep checking our Eventbrite overview page for more information.